The Fur Remover Brush Set offers an eco-friendly means of fur removal that is both quick and easy – giving you more time to spend with your furry friends! Perfect for use on clothing, furniture, carpet, car seats, linens and more! Do you love your pets, but hate the fur that they leave behind? 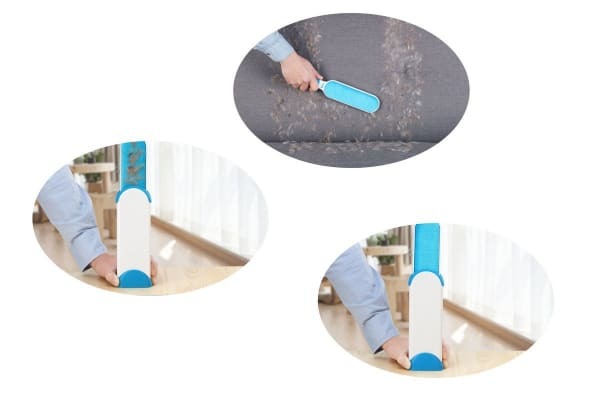 With a few quick swipes of the Fur Remover Brush Set, you can enjoy fur-free furniture, clothing and carpets. Equipped with two brush sizes, this amazing tool uses thousands of bristles to effectively collect fur, lint and fuzz. The Fur Remover Brush Set can be cleaned effortlessly using the self-cleaning base – simply dip the brush in, and tip the contents out.